I think the most challenging thing for me this month was finding time to complete it! Otherwise, the pound cake and ice cream were pretty simple. It is just a basic recipe for each. The only different (challenging) parts were browning the butter (since I’ve only done it a few times), and freezing the ice cream, since I do not have an ice cream machine (yet!). Since I made the ice cream (custard) and just let it freeze over night (no stirring involved) and I took it out the next morning and paddled it on the electric mixer for a few minutes to aerate it and help to somewhat melt out the ice crystals that formed. This help make it look more like vanilla ice cream. Before it “churned” it was just yellow and the vanilla bean had all sunk to the bottom of the container. Literally, just frozen custard. After, it was white and the little “dots” of vanilla were disbursed throughout. It was more creamy, and less icy, but still not perfect. I think the smooth, non-icy texture can only be achieved with a real way of churning it while it freezes. Not bad though, for homemade ice cream without any sort of ice cream machine. I made the petit fours (but did not make/use the chocolate glaze). I think they’re good just as they are! 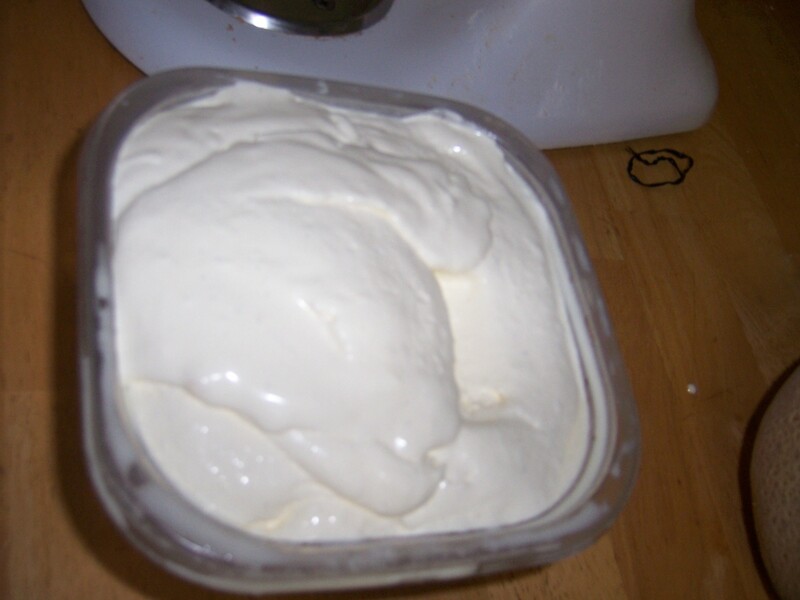 Ice cream – 45 min active time, ice cream rests/chills for 1 hour then overnight. Without an ice cream maker, the ice cream chills 2-3 hours and must be stirred every 30 minutes. Assembly of Ice Cream Petit Fours – Ice cream must be frozen ahead of time several hours, then the cake and ice cream freeze overnight. After dipping, the petit fours freeze for one hours. Assembly of Baked Alaska – Ice cream must be frozen head of time several hours, then the Baked Alaska is frozen 1 hour or up to one day. 2. Set up an ice bath by placing a 2-quart (2 litre) bowl inside a large bowl partially filled with water and ice. Put a strainer on top of the smaller bowl and pour in the cream. 3. In another bowl, lightly beat the egg yolks together. Reheat the milk in the medium saucepan until warmed, and then gradually pour ¼ cup warmed milk into the yolks, constantly whisking to keep the eggs from scrambling. Once the yolks are warmed, scrape the yolk and milk mixture back into the saucepan of warmed milk and cook over low heat. Stir constantly and scrape the bottom with a spatula until the mixture thickens into a custard which thinly coats the back of the spatula. 4. Strain the custard into the heavy cream and stir the mixture until cooled. Add the vanilla extract (1 teaspoon [5ml] if you are using a vanilla bean; 3 teaspoons [15ml] if you are not using a vanilla bean) and refrigerate until thoroughly chilled, preferably overnight. 1. Preheat the oven to 325°F/160°C and put a rack in the center. Butter and flour a 9”x9” (23cmx23cm) square pan. 2. Place the butter in a 10” (25cm) skillet over medium heat. Brown the butter until the milk solids are a dark chocolate brown and the butter smells nutty. (Don’t take your eyes off the butter in case it burns.) Pour into a shallow bowl and chill in the freezer until just congealed, 15-30 minutes. 3. Whisk together cake flour, baking powder, and salt. 4. Beat the brown butter, light brown sugar, and granulated sugar in an electric mixer until light and fluffy, about 2 minutes. Beat in the eggs one at a time, mixing well, and then the vanilla extract. 5. Stir in the flour mixture at low speed until just combined. 6. Scrape the batter into the greased and floured 9”x9” (23cmx23cm) square pan. Smooth the top with a rubber spatula and rap the pan on the counter. Bake until golden brown on top and when a toothpick inserted into the center comes out clean, about 25 minutes. 7. Cool in the pan 10 minutes. Run a knife along the edge and invert right-side-up onto a cooling rack to cool completely. 1. Line a 9”x9” (23cmx23cm) pan with plastic wrap, so that no sides of the pan are exposed and so there is some extra plastic wrap hanging off the sides. Spread 1 ¾ to 2 cups (450ml to 500ml) ice cream into the pan. Cover with more plastic wrap and freeze several hours. 2. 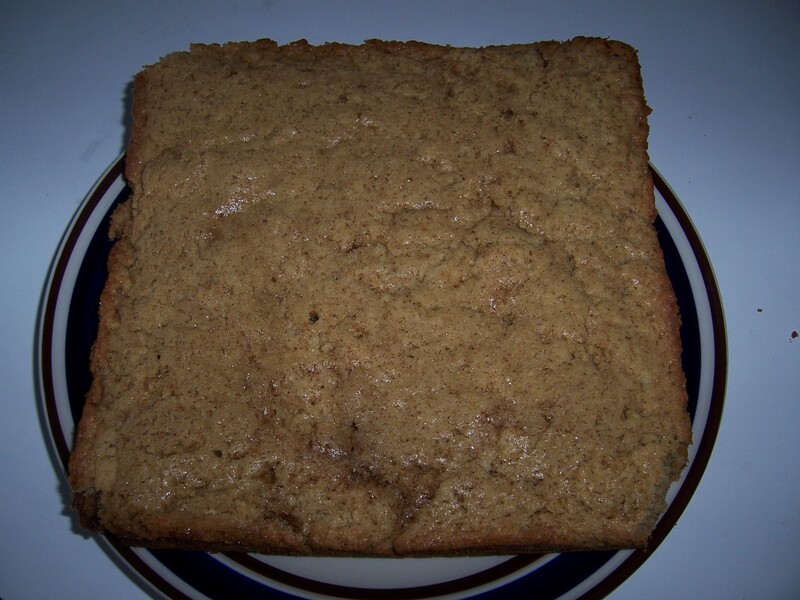 Once the brown butter pound cake has completely cooled, level the top with a cake leveler or a serrated knife. Then split the cake in half horizontally to form two thin layers. 3. Unwrap the frozen ice cream. Flip out onto one of the layers of cake and top with the second layer of cake. Wrap well in plastic wrap and return to the freezer overnight. 5. While the glaze cools, trim ¾” (2cm) off each side of the ice cream cake to leave a perfectly square 7.5” (19cm) ice cream cake. Cut the cake into twenty five petit fours, each 1.5”x1.5” (4cmx4cm). 6. Glaze the petit fours one at a time: place a petit four on a fork and spoon chocolate glaze over it. 7. Place the petit fours on a parchment-lined baking sheet and return to the freezer for one hour. 1. Line four 4” (10cm) diameter tea cups with plastic wrap, so that plastic wrap covers all the sides and hangs over the edge. Fill to the top with ice cream. Cover the top with the overhanging plastic wrap and freeze for several hours, or until solid. 2. Level the top of the brown butter pound cake with a serrated knife or with a cake leveler. Cut out four 4” (10cm) diameter circles from the cake. Discard the scraps or use for another purpose. 4. Unwrap the ice cream “cups” and invert on top of a cake round. Trim any extra cake if necessary. 5. Pipe the meringue over the ice cream and cake, or smooth it over with a spatula, so that none of the ice cream or cake is exposed. Freeze for one hour or up to a day. 6. Burn the tips of the meringue with a cooking blow torch. Or, bake the meringue-topped Baked Alaskas on a rimmed baking sheet in a 500°F/260°C oven for 5 minutes until lightly golden. Serve immediately. This entry was posted in blogs, brown butter, cake, cake decorating, chocolate, Daring Bakers, decorating, ice cream, inspiration, pound cake, recipe, sugar, vanilla. Bookmark the permalink.